The quest for the Skin Map, originally tattooed on The Man Who is Map is now in pieces and scattered across time and space in a universe of multiple realities. But what if the true treasure isn?t the map at all . . . what if the map marks something far greater? Something one world cannot contain? Those wanting to unlock that mystery are in a race to possess the secret ? for good or evil. Kit Livingstone is mastering the ability to travel through the Omniverse using ley lines and has forged a link from the Bone House, a sacred lodge made of animal bones, to the fabled Spirit Well, a place of profound power. His friend Mina is meanwhile undercover in a Spanish monastery high in the Pyrenees, learning all she can from a monk named Brother Lazarus. Still determined to find Kit, she is beginning to experience a greater destiny than she can fathom. Enter Cassandra Clarke. She is overseeing an archaeological dig in Arizona when a chance encounter transports her to 1950s Damascus. There, she finds herself pursued by the Seekers?members of the Zetetic Society who need her help to track down the missing Cosimo Livingstone and his grandson Kit. And there are darker forces at work in the universe whose agents always seem to be one step ahead of the rest. They're all desperate to gain the ultimate prize in a treasure hunt where ancient history, alternate realities, cutting edge physics, eternal mystery, and philosophy intersect. The next clue might reside at The Spirit Well. 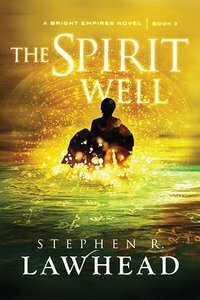 About "The Spirit Well (#03 in Bright Empires Series)"